Jan Ficek Dřevovýroba (founded 1946), one of the largest European processors of veneers, where the third family generation operates, and Grena a.s., the leading European manufacturer of kitchen doors, fire-resisting, non-combustible and refractory materials and boards with a high gloss and a deep matt, opened the Gallery of exclusive veneers in November. The Gallery was inaugurated on the occasion of the 75th birthday of Jan Ficek Sr. (son of the founder - Jan Ficek 1913 - 1987). 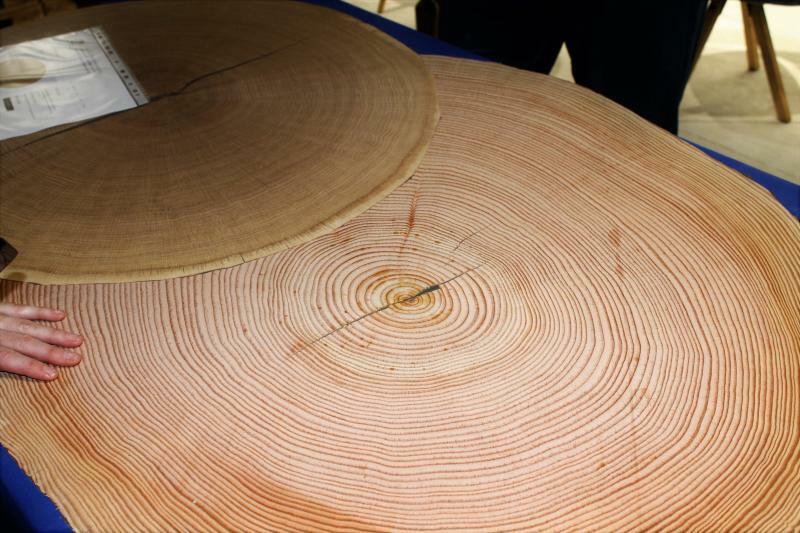 This unique project represents the largest specialty of veneer and other massive specimens. 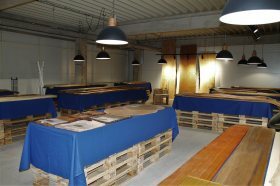 The gallery is located in Chrudim, in the factory Jan Ficek Dřevovýroba, and its interior was created according to the design of architect Ing. Tereza Šašková. At one place, visitors, architects and the professional public can find up to 50 types of natural and modified interior veneers. There are veneers and spices exotic, tropical, American and European. Unique examples include, for example, veneers cut from more than a hundred-year-old wood pole. The gallery is open to visitors as part of regular tours for professionals or by appointment. The necessary contacts and a large part of the veneers are available at www.galeriedyh.cz. This gallery is one of the few places in Europe where a wide range of veneers can be seen. „We have been preparing the gallery for a long time and have been thinking about how to draw it exactly. The result surpassed our expectations, and also the first visitors' feedback tells us that we have set out on the right way. 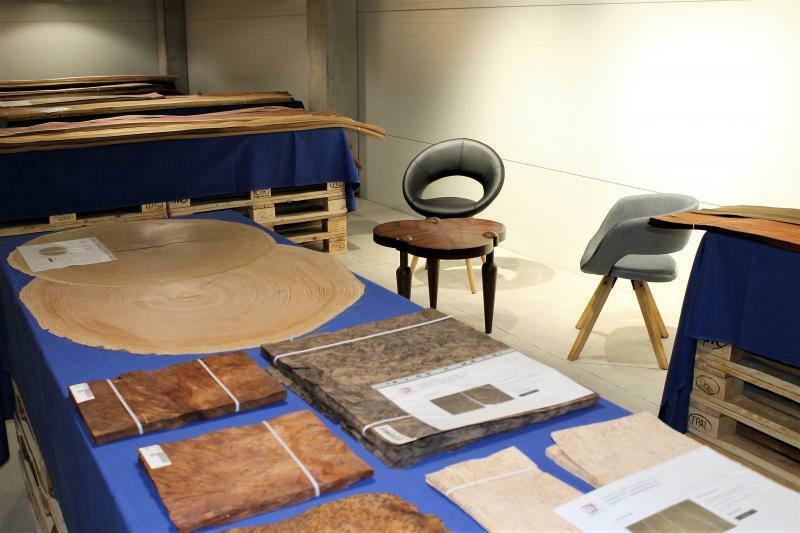 Personally, I have been in the field of veneer for over 20 years, and now I have seen some of them for the first time,“ says grandson of founder Jan Ficek Jr.
Download more foto in Media section.